At first glance, New Mexico would appear to be a prime candidate to draft an iGaming legal real money Internet poker bill. One of only a handful of states that permits all forms of regulated gambling including lawful real cash poker betting, NM, the Land of Enchantment relies heavily on its plethora of commercial and tribal casinos and real money poker rooms to sustain its economy. Furthermore, many of its more than two dozen casinos already feature lucrative live real money poker betting rooms. Given this, you would think that New Mexico’s largely pro-gambling and real cash betting officials would jump at the idea to reap additional real money gambling profits from legit poker betting. Yet due to infighting among its tribal factions and NM’s relatively small population, the land of pueblos and deserts has yet to even consider the prospect of Internet gambling and legal poker websites. Land of Enchantment and cacti, New Mexico gamblers will face no issues when signing up for an account at a real money US poker site. 2 Can Players From New Mexico Play Online Poker? 3 Is Online Poker Legal In New Mexico? In February 2014, New Mexico’s largest tribal faction, the Navajo Nation, proposed an expanded gambling and legal poker betting compact that would allow the tribe to build an additional three casinos and real cash poker venues over the next fifteen years . After being approved by the House, the Senate voted 31-10 against the proposal. Opponents of the compact, consisting primarily of New Mexico’s pueblos, argued that the new casinos and real money poker gambling rooms offering games like Texas Hold’em poker would cut into their market share and real cash betting profits. In particular, the Acoma and Laguna pueblos attested that New Mexico already had enough casinos and real cash poker betting establishments, and adding more would flood the market. Considering that the state of New Mexico boasts a population of 2.1 million and nearly 30 gambling and legit poker facilities, their claims are not without merit. Tribal infighting over the issue of gambling and betting expansion in New Mexico is nothing new. In 2008, the Fort Sill Apache attempted to open a solitary gaming and poker betting hall in their tiny 30-acre reservation . NM Gov. Bill Richardson immediately ordered police to block admission to the area, citing that the Fort Sill did not have the right to manage a real money poker gambling venue. After finally being acknowledged by the federal government as a reservation in 2010, the Fort Sill renewed their plight to open a casino and legal real money poker room, only to face severe opposition from both the nearby Mescalero Apache and NM state government. Can Players From New Mexico Play Online Poker? Yes. New Mexicans will face little opposition from US-facing poker networks and can play real money games like Texas Hold’em poker on many top sites. In fact, all of the top poker websites are hospitable to players from nearly every state and, better yet, all sites that we recommend on PokerSites.US. They offer a myriad of depositing options and the fastest poker gambling payouts around. And then there’s the player volume of people betting on Internet poker games, of which there is plenty. On any given night, expect to see thousands of poker players mixing it up on the virtual green felt. No matter which poker website NM poker betting players ultimately choose, you can’t go wrong. Anyone with Internet poker gambling or even a casual Texas Hold’em poker player who’s had a fish hit a three outer on them knows that real cash poker is a game of high variance where even the world’s top real money poker players can lose their shirts on any given night. So although the word poker is never mentioned in the aforementioned definition, it can be inferred that America’s favorite gambling pastime of real money poker betting would indeed fall under its scope. Real money poker players convicted of gambling are charged with a petty misdemeanour in New Mexico. Real cash poker operators have it far worse. Individuals or organizations that operate an unregulated facility or who merely take bets on games like Texas Hold’em poker are guilty of a fourth degree felony. Even those who simply permit a facility to be used for gambling or poker betting purposes are in violation of the NM law, as are those who deal in gambling devices – although the charges for committing these betting violations are less severe. There appears to be no social poker betting or general gambling exception written into New Mexico’s gambling statues. Thus, any real money poker game conducted outside of a regulated poker gambling facility is technically illegal in NM. That being said, whether or not New Mexico’s law enforcement authorities are actively raiding non-raked real cash poker home games is an entirely different story. In regards to online poker specifically and legal real money Internet poker websites, no mention is made. Therefore, it is left unclear as to whether playing on poker websites housed overseas is a betting crime. What is known is that online poker players and visitors to Internet poker websites are not exactly pursued with vigor in New Mexico, at least as far as we know. For more, please refer to New Mexico’s state poker gambling and betting statues , available via the “References” section. And if you still have questions about just how lawful Internet poker is, consult a legal professional familiar with gambling and poker websites law. Just don’t expect a neat answer regarding real money Internet poker; the NM state’s statues don’t appear to have been heavily revised since 1978 when of course Internet poker and real cash poker websites didn’t exist for New Mexico residents to do their poker gambling on. Although New Mexico did not achieve statehood until the early 20th century, pioneers in the area partook in a variety of gambling and betting activities like real money Texas Hold’em poker for decades prior and many of these legal gambling games like real cash poker were introduced to them by the New Mexico State’s original settlers. In particular, Isleta in the Rio Grande Valley was known as a legit gambling and real money betting Mecca. Not surprisingly, today the area is home to one of the state’s largest casinos and real cash poker rooms – the Isleta Resort and Casino . Pari-mutuel gambling became popular in 1946 with the opening of La Mesa Park real money poker room and casino, and thrived for decades. But by the 1980s, Texas had passed a law legalizing pari-mutuel wagering and real cash betting. That and the aging of horse racing gambling fans would prove a gigantic blow to New Mexico’s horse racing industry. A decade later, the installation of real cash slot machines into several race tracks, effectively converting them into racinos, revitalized the legal gambling and poker industry. But it wouldn’t be until the late 1980s that the state of NM’s real money gambling industry would really begin to thrive. In 1988, the federal government passed the Indian Gaming Regulatory Act, which set up an outline for tribes to construct and operate casinos or real cash poker rooms on their grounds. Suffice to say, New Mexico’s many pueblos and tribes quickly took advantage of the new casino and poker betting law. By 1990, the Mescalero Apache and the Pueblo of Sandia were already petitioning for then NM Governor Bruce King to sign real money gambling compacts. However, King would prove highly resistant to expanding real cash poker and gambling and it wouldn’t be until 1995 that New Mexico Governor Gary Johnson would sign the compacts. The same year that New Mexico’s first casino and real money poker betting room, Cities of Gold Casino in Pojoaque , opened would also see the inception of a statewide lottery, followed in the early 2000s by the introduction of commercial casinos and real cash poker venues. New Mexico poker players enjoy online poker in the state, but there’s been no move to attempt to legalize and license online poker rooms. All forms of regulated gambling, including real money poker betting on games like Texas Hold’em poker, are legal in New Mexico including: commercial casinos, tribal casinos, charitable gambling, pari-mutuel wagering and the lottery. 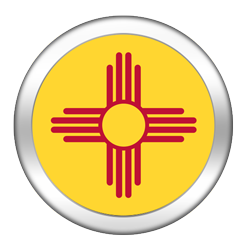 All gambling and betting activities are overseen by the State of New Mexico Gaming Control Board . Yes, there is certainly no dearth of real-money wagering options in the Land of Enchantment for gambling fans to try. However, the number of full-scale Las Vegas-style casinos and lawful poker rooms in New Mexico is relatively small, and future plans to expand the gambling and betting industry seem to be temporarily on hold. The word is still out on whether New Mexico plans to enter the iGaming Internet poker arena. Right now, ongoing disputes regarding land-based casino and real money poker room expansion seems to be at the forefront of most involved in the state’s gambling industry – not Internet gaming and legal poker websites. It’s likely these disputes would continue should the online gambling and real cash Internet poker in NM debate take center stage. Unfortunately, a would-be iGaming Internet poker proponent in Gary Johnson is no longer in office in New Mexico. During his failed presidential election bid, the former governor made a sweeping attempt to appeal to the nation’s real money Internet poker players, especially those afflicted by Black Friday . In 2012, New Mexico’s gambling and betting industry brought in over $1 billion dollars in real cash betting revenue, $131.4 million of which was forked over to the Land of Enchantment state government. Of that, the state’s tribal casinos and real money poker destinations raked a net win of $759.6 million. New Mexico is likely taking a wait-and-see approach towards legal Internet poker and iGaming real money gambling websites in general. 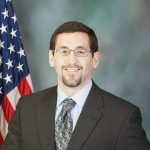 Now that Internet gambling and legit poker websites are live in New Jersey and Nevada, New Mexico’s state officials are beginning to have a better idea of how much profit could be generated via online wagering at lawful real cash Internet poker websites. Unfortunately, early numbers from the legit Internet poker gambling market, while solid, are probably not enough to compel New Mexico’s powers-that-be to draft a piece of iGaming legal poker websites legislation anytime soon. Expect to hear more regarding iGaming and real money Internet poker from New Mexico somewhere down the line. But even if a real cash poker websites in NM bill eventually gets passed, it’s hard to see New Mexico generating any more business on their legal real money Internet poker websites than the similarly populated Nevada. Either way, the state of New Mexico’s tribes and pueblos are going to have to learn to coexist before any forward progress can be made on the issue of lawful real cash Internet poker websites in NM.